The “Euthanasia Institution” in Brandenburg was one of the first killing facilities of “Operation T4”. This is where the mass murder using noxious gas started; and the genocide of European Jews was a continuation of it. By the time the institution was closed down at the end of October 1940, more than 9,000 people from psychiatric hospitals from the northern and central regions had been murdered there. The volume contains the texts and many objects of the permanent exhibition in the memorial opened in 2012. It documents in detail the history of the Brandenburg killing facility, as well as the connection between “Operation T4” and the Holocaust. 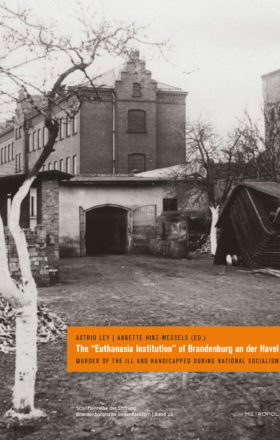 A comprehensive scientific introduction by the editors informs about the newest research especially on the victims of the Brandenburg euthanasia centre and the chronology of the killings in this region.